Serbian manager Miodrag Jesic has been surprisingly fired from CSKA Sofia after only two months at the top Bulgarian football team's helm. The move comes right after CSKA scored a 2:0 home win against Chernomorets Burgas Sunday. This was only Jesic's second game with CSKA after he was re-appointed as the team's senior coach in early January. The Serbian's second stint in CSKA was reportedly designed to breathe in fresh energy in the team, who have made a questionable performance lately. According to sources from the team's Trustee Board, the team made a dubious performance in its last two games, and Jesic failed to convince that he is able to implement radical change. CSKA Sofia currently rank 4th in Bulgaria's football A-league, with 32 pts out of 17 games, behind Ludogorets (42 pts), Levski (40 pts), and Litex (33 pts). 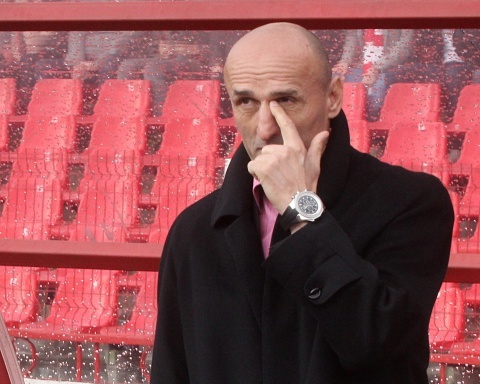 Previously, Miodrag Jesic coached CSKA Sofia between 2004 and 2006. During this period he became a Champion of Bulgaria and recorded wins over Liverpool and Beyer Leverkusen in the UEFA Champions League group phase. The new manager of CSKA will be Milen Radukanov, who led the team to its last national football trophies in 2011. Radukanov was released in the fall of 2012, under the pretext that the team need renewal.